Brain-Building: The Key to Longevity? In the last decade, it has become clear that our brain’s ability to function at its highest level is, at least partly, within our control. Genetics and head trauma play a role but so does our environment, the foods we eat, and the quality of our daily brain workout. In 2014, on Father’s Day weekend, I was in a boating accident. I was a passenger in a 4-seater SeaDoo jet boat driving in a no-wake zone. A young inexperienced driver in a 27 foot speed boat struck us at full speed. I had broken ribs and a concussion. There is so much I could write about the effect of that accident on my life – about how it gave me a new perspective on things, about how I look at each day differently, and about how blessed I am to have the people in my life that supported me after the accident. But, the scope of this article is to share with you the importance of neuroplasticity in a brain that is damaged by trauma, age, environmental factors and the failure to give the brain the attention it deserves and requires. Here are the bare-bone facts about neuroplasticity. 2. Cells that Fire Together, Wire Together. “When people repeatedly practice an activity or access a memory, their neural networks — groups of neurons that fire together, creating electrochemical pathways — shape themselves according to that activity or memory.” Over time, “these connections become thick, hardy road maps that link various parts of the brain. When people stop practicing new things, the brain will eventually eliminate, or prune,” the connecting cells that formed the pathways. Thus, you must always continue to practice new things to create new pathways and to make sure the “map” in your brain will take you where you want to go. 3. Our Senses are Closely Connected to Memory and Cognition. Thus, a weakness in one of the brain’s pathways can effect one of more of your senses. For example, we all know that Alzheimer’s patients slowly lose their memories. One way this manifests is that they eat less food. Why? As it turns out, visual deficits are also a part of Alzheimer’s. People eat less because they can’t see the food as well. Another example is in normal age-related cognitive changes. As we grow older, we get more forgetful and distracted in large part because our brain does not process what we hear, see, and feel as well as it once did. The result is that we can’t store images of our experiences as clearly, and so have trouble using them and recalling them later. 4. Neuroplasticity is directly related to age. The brain changes at all ages, “but different kinds of change are relevant at different ages.” The brain will change and rewire itself through its life in responds to stimulation of learning and experience. “As we age, the rate of change in the brain, or neu­ro­plas­tic­ity, declines but [it] does not come to a halt. In addi­tion, we now know that new neu­rons can appear in cer­tain parts of the brain up until the day we die.” We may increase our brain’s plasticity to try to slow down the aging process. So what can you do to improve your brain’s function? Get evaluated by a good functional neurologist so that you can discover any brain weaknesses and any metabolic issues affecting your brain function. Click here to read our blog post about functional neurology and click on any of our doctors’ names below to read about their training. Engage in neurological therapies. Click here for a list of some of the therapies we use in our office. Have your brain-mapped and trained using neurofeedback. Click here to read our blog post about neurofeedback or here to visit our neurofeedback website. Meditate. Click here to visit Dr. Joe Dispenza’s website to learn about how meditation changes the brain. 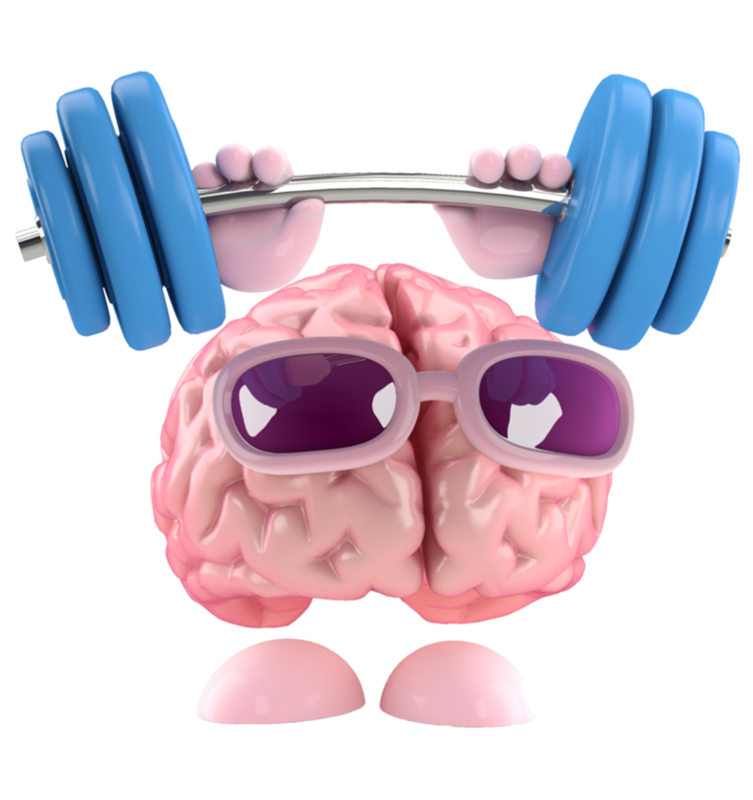 Try one of the many brain-training “games” on-line like, Lumosity, Peak, Elevate, or Fit Brains. You can also get these on your phone as mobile apps. The good news is that for most people, you can improve the brain’s neuroplasticity if you are capable of learning anything new, no matter how small. Obviously, the level of improvement will depend on many factors. You will notice even greater improvement when you combine one or more of the action steps above. Previous PostBeware of the Toxic French Fry – What You Need to KnowNext PostEaster Dinner On A Detox? You Do Not Have to Eat Like a Rabbit!